Have you heard the word? Raised beds are sooooo in right now. You don't have one? Uhh, get with the times. Increased oxygen in your soil which assists with root growth. The soil in your yard is most likely not ideal for growing, it's either too dry, too acidic, too clay like etc. 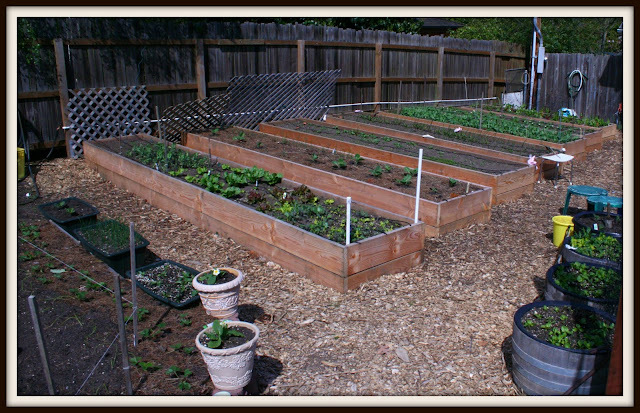 Using raised beds allows you to have perfect fertile soil. A simple formula to follow if you are adding new soil to your raised bed: mix 1 part compost,1 part sand or perlite to 2 parts soil. Soil in raised beds usually stays warmer.Warmer soil will increase the growth rate of your plant. You don't have to bend over as far when gardening. 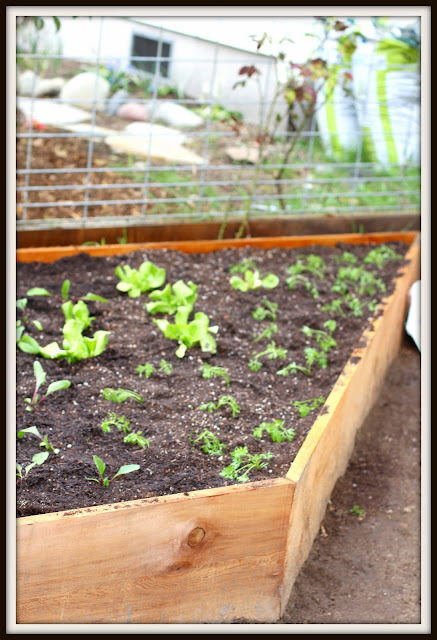 Check out Lasagna Gardening for any EASY way to create a raised bed anywhere. 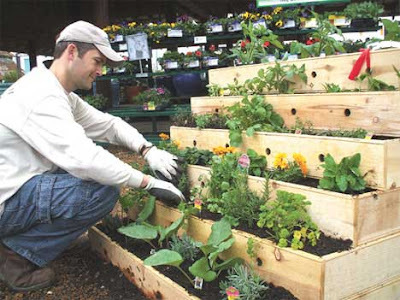 If you are using wood to contain your raised bed, do not use pressure treated wood as the chemicals will seep into your garden. Cedar in my opinion is the best wood you can use as it will last longer. Make sure the bed is south or west facing for the highest sun exposure. Your bed should be 8-12 inches off the ground to reap the above rewards. 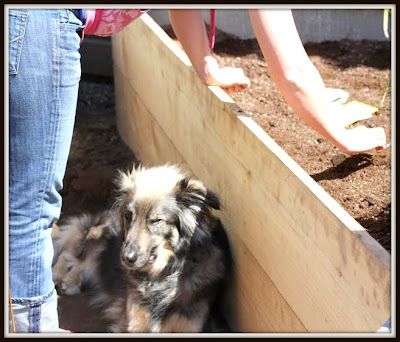 Make sure you can reach all areas of the raised bed without stepping on the bed. 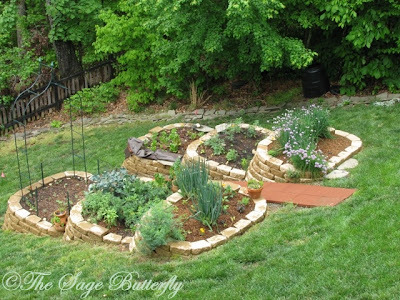 Stepping on your garden bed will compact the soil making it difficult for roots to spread. Here you can see Michelle at http://thesagebutterfly.blogspot.com/ used retaining wall blocks.